Mumbai Darshan bus services are available throughout the week. As the ride revolves around the city, it starts quite early in the morning. Bus rides usually starts at around 07:00 AM and is available till 09:00 AM. On an average, the ride takes around 12-14 hours to complete and takes the visitors through some of the most important tourist places in the city. Daily Morning 7:00 am departure from Borivali – 2X2 Coach Non Ac. Deposit 25% payment of the package cost at the time of Booking. Deposit 50% payment of the package cost, 30 days prior to the departure date. Deposit 100% payment of the package cost, 15 days prior to the departure day. 10% of full tour cost, 60 days prior to arrival. 25% of full tour cost, 30 days prior to arrival. 50% of full tour cost, between 15 to 29 days prior to arrival. 75% of full tour cost, between 14 to 7 days prior to arrival. 100% of full tour cost within 7 days prior to arrival. Tourist are requested to observe the timing given by the organizers guide. 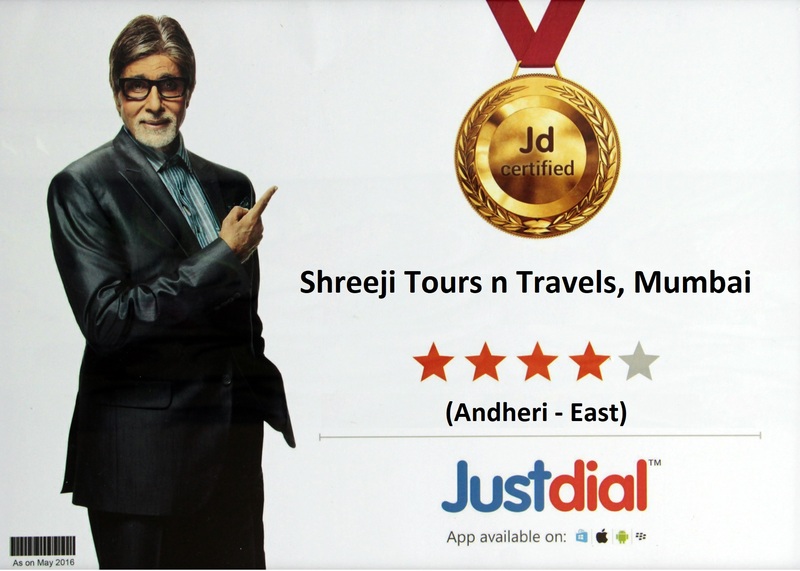 Shreeji Tours n Travels reserve the right to make changes in your programme. We are not responsible for the loss money or personal belongings due to gambling, pocketing, luggage or theft. Please be careful. Tour rate does not include entrance fees. Service of guide will be provided. Rs 20 will be charged compulsory per head. We provide a complete range of travel and tour services globally. We build relationship with customer.